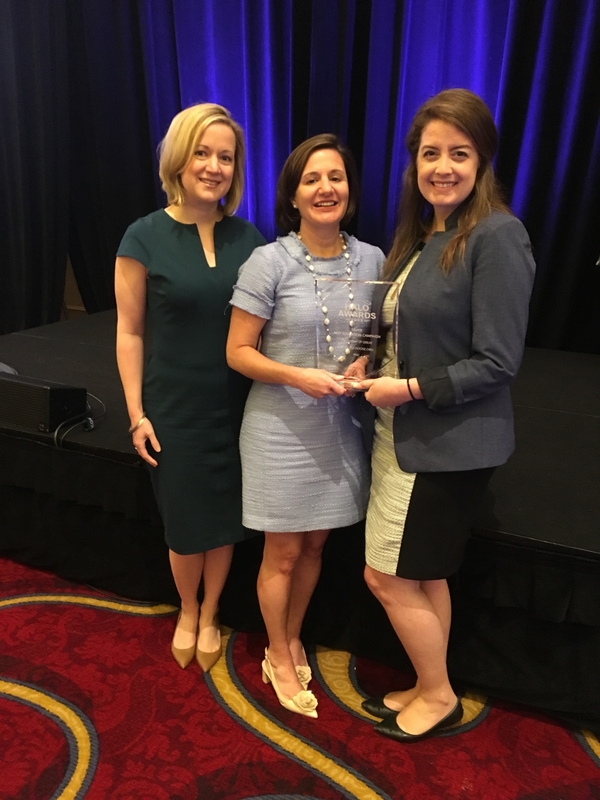 PITTSBURGH, May 30, 2018 – The PNC Foundation has been named the 2018 Silver Halo Award winner in the Education category for its Grow Up Great/DonorsChoose.org initiative. The Halo Awards are North America’s highest honor for corporate social initiatives and cause marketing and are presented by Engage for Good (formerly Cause Marketing Forum). This is the sixteenth year that Engage for Good will honor businesses and nonprofits with Halos for doing well by doing good. PNC and DonorsChoose.org, an online charity that connects individual donors with classrooms in need, teamed up to help teachers obtain quality resources and experiences for students in public pre-K, charter and Head Start classrooms across the country. PNC teamed up with DonorsChoose.org in support of PNC Grow Up Great, its $350 million, bilingual multiyear initiative to help prepare children from birth to age 5 for success in school and life. On April 4, 2018, every teacher in the PNC footprint who had submitted a pre-K project request on DonorsChoose.org since April 4, 2017 received a $100 electronic gift card, distributed through DonorsChoose.org. In total, more than 3,700 pre-K and Head Start teachers received the funds to encourage the creation of new pre-K projects on DonorsChoose.org. The PNC Foundation funded these gift cards as part of a $5 million initiative with DonorsChoose.org to help teachers obtain the resources and experiences they need to inspire their students’ love of learning. Through May 31, 2018, the PNC Foundation will match, dollar-for-dollar, donations that support eligible pre-K and Head Start project requests in the PNC footprint listed on DonorsChoose.org. “The Halo Awards were created to acknowledge best-in-class corporate social impact programs. This year’s winners are a fantastic representation of the effective and innovative ways companies and causes can work together to create meaningful business and social returns,” said Engage for Good President David Hessekiel. A total of 28 category awards were given out to programs judged the best cause marketing campaigns of 2017 at the 16th Annual Engage for Good conference in Chicago on May 24, 2018. A list of the Cause Marketing Halo Award finalists can be seen at http://www.engageforgood.com/halo-awards. Engage for Good, producer of the Engage for Good conference and Halo Awards, helps business and nonprofit executives succeed together by providing practical information and inspiration, opportunities to build valuable relationships and recognition for outstanding work engaging employees and consumers around social good and cause-related marketing efforts. A wealth of information on cause marketing, corporate social impact programs and Engage for Good’s offerings can be found at http://www.engageforgood.com.